when there is still time for a new strategy to mature enough to carry the organization. Its leadership does not grow with the ministry and becomes increasingly not up to the task as the ministry outgrows them. The good news is that both of these scenarios are avoidable. If leadership is on the ball, there is no reason why a ministry should die. Do not think that you and your colleagues won’t make some of the same mistakes as the media industry has. Do not think that you are invulnerable to being blindsided by technology change, market change, or new competitors. Do not think that it will not be difficult to innovate your revenue model as rapidly and as thoroughly as you need to. Do not think that you have “plenty of time” to work things out. Those are exactly the same mistakes that media made. Too many of the executives thought they had more time, thought they had a good read of the market, thought they could wait for “better” ideas and options to come along. They neglected opportunities, failed to invest in revenue innovation, stuck to their segmentations, pricing, payers, and packaging not because they were dumb or blind but because they were normal. The easy path, the normal path, is to find all the reasons not to innovate your revenue models rather than seizing opportunities for revenue innovation. Don’t be normal. Don’t take the easy way out. There are no second chances and the clock is ticking. Berman was writing about the particular problem of consumers expecting services or knowledge for free. What’s the issue in your ministry sector that has the potential to be a seismic shift? Donors will support the ministry that does what they care about the way they think it should be done. If you are still doing things the way the founder did them forty years ago, you are likely finding it harder and harder to raise donations because donors expect your methods to adapt to today’s methods and situations. Some anonymous person said, “Even if you are on the right road, you will eventually get run over if you just sit there.” You never arrive at a place in your lifecycle where you can camp for the duration. You’ve got to keep moving! Do you want to know how long your ministry will last? One clue is what your expectations are. Ichak Adizes says in Managing Corporate Lifecycles that organizations will remain young as long as the leaders expect more than the results they are currently getting. When leaders accept current results as the expected results, then the organization starts to age. Determining where your ministry is in its lifecycle is important, because once you start on the downward trend it is very difficult to revive the organization. In Stall Points, the authors say that once you have a significant downturn, research shows only a 7% chance of ever recovering to see moderate or high growth again. If you wait until you plateau, it is too late to do very much. The problem is that long before you hit your revenue peak the basis on which you were viable has already expired. You’ve already used up much of the grace period to get something new going. Are you still growing? Well, sheer momentum will carry even a dead organization forward for a number of years before it finally collapses and expires! There is no reason to delay jumping to a new lifecycle once you are solidly on the growth track of the first one. You keep the first one going as long as it continues to grow, but when it is done, you have something else to go forward with. Ichak Adizes has a free online assessment and a diagram of a corporate lifecycle to help you determine where you are in your corporate lifecycle. It takes about five minutes to answer some questions and generate a graph showing where you are. You want to be on the left side of the bell curve. That side, because of its shape, is called the S-curve because it is the shape of an “S”. There is a slow period of growth at the beginning of an organization’s life, then rapid growth as its products and services catch on, and then the growth flattens out as the organization matures. If you have reason to wonder about your ministry’s relevance, distinctiveness or ability to attract people, you need to take action! Some leaders can only see one S-curve, and can’t conceive how to start something new (anything that is really new will always appear radical). But if you only exist on one S-curve, you will end up simply trying to outdo other charities doing what you do, attracting donations solely on the basis of incremental improvements in cost or quality or both. Perhaps who has the lowest overhead percentage! This is not a long term solution. It often ends up as though you are rearranging the deck chairs on the Titanic. Nunes and Breene say when you compete like this, the future is bleak and can only end in organizational death. 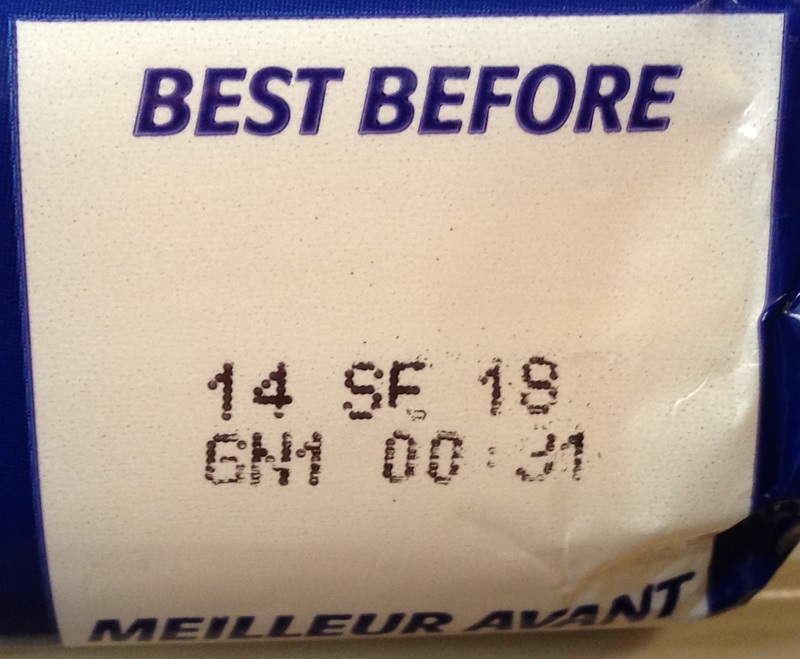 A healthy way to think about your ministry’s future is to imagine that it has a shelf life and will expire unless it is renewed prior to its ‘best before’ date. The key word here is ‘renewed.’ You can’t plan on the same old, same old taking you into the future. The same mission, yes. The same values, yes. The same methods and assumptions? No!! An expiry date is stamped on everything you do. If you don’t watch the dates, there will come a day when your entire ministry will expire. Organizational longevity is dependent on keeping those expiry dates as far out as possible. Understand the reasons behind your success: A truism I’ve used often is “Success breeds success.” We learn from our successes and each success generally opens the door to more opportunity. However, success also breeds potentially harmful attitudes, such as the feeling of invincibility. You think success is a ‘right’ you’ve earned. You may even believe what reporters write about you. The issue is that since you have been successful at a particular period and in a particular set of circumstances, you may now believe that success is an automatic, ongoing condition. When you enjoy success, make sure you understand what conditions and decisions led to success. If you don’t understand why you were successful, you won’t recognize when those conditions change and you will take a hit. Challenge your “sacred cows”: Some leaders know what led to success and elevate that causal factor (a strategy or a program) to the status of a ‘sacred cow’. This is equally dangerous because it reduces your thinking to a set of limited options. The antidote is to recognize that for a particular set of conditions, the ‘sacred cow’ is the appropriate means to success but it may not be appropriate tomorrow. Identify your ‘sacred cows,’ let people know they are no longer ‘sacred’ and get your team to challenge their continuing effectiveness. Examine your strengths: Often the areas in which we feel strongest are the breeding grounds for our downfall. Our strengths are assumed to be safe areas and therefore aren’t examined as carefully as they should be. Plan for today and tomorrow: Your ministry must maximize the fundraising value of its existing programs while developing their replacements that will attract future donations and grants. Tomorrow doesn’t just happen, yet many organizations rest on their current successes without realizing it is only a matter of time until their current programs are obsolete. Get people thinking both for today and tomorrow. Stay fresh: Make room for new initiatives by abandoning old initiatives that have served their time. Stay fresh. Keep the real winners, but let go of anything limping along. Treat the continuation of every strategy or program as a fresh investment decision. No matter how good they’ve been, which ones will provide the best results for the future? Support those. Extend the shelf life of your ministry by developing the next generation of programs now while you still have cashflow. Re-examine current operations for potential improvement: Over time you always lose efficiency. Either people get sloppy or performance improvements elsewhere surpass you. Keep your head up and look for ways to improve. Always assume you can do better. Make your equipment work harder and help your people work smarter! Look for new opportunities: Look for unmet needs your beneficiaries have and fill those; and find out why some people choose not to support your programs (so look for donors who have never given to you but who do give to similar ministries). 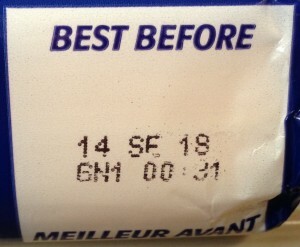 At CCCC we are checking our own “best before” date and beginning a process to find the next S-curve for us. I’ll keep you posted as we progress in a series called “Strategic Review” which you can access from the right navigation bar. If we were starting today, knowing what we now know, would we do it the same way? We are re-designing our ministry and, in turn, our future. How about you?